beeblog: When you are a big stud, who can you turn to? When you are a big stud, who can you turn to? beebox mgmt is pleased to announce internationally acclaimed Arabian horse farm 'Simeon Stud' has been added to our valued 'stable' of clients. 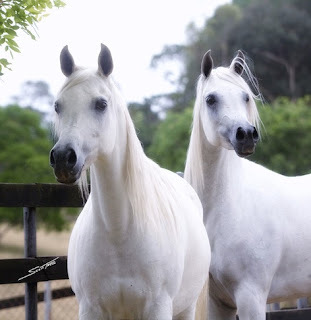 Owned by Marion Richmond, the stud has been breeding Arabian horses on the outskirts of Sydney for over 50 years, and exported them to over 25 countries around the world...including a black stallion sold to Charlie Watts of the Rolling Stones. Everyone at beebox mgmt is excited to be working on such a unique proposition, beginning with a presentation on the stud at the Egyptian Event in Kentucky, USA in June.